The MPEX1394B3 3-Port Mini PCI Express FireWire Card is a PCI Express to FireWire-800/FireWire-400 adapter that enables you to add external FireWire connectivity on very small form factor or embedded systems. The PCIe FireWire card provides two FireWire-800 ports and one FireWire-400 port, this adapter card supports the latest external FireWire storage devices at data transfer speeds of up to 800 Mbps. 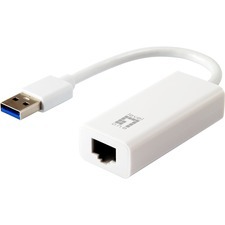 Using the Mini PCI Express (Mini Card) form factor, this adapter card is designed for use in the latest very small form factor computer systems, such as Mini-ITX or custom embedded solutions where a full-sized PCI Express card would not fit.